I have been on a t-shirt kick as of late. My son, Big Squish, has started to refuse to wear anything that does not involve some sort of construction equipment image or Batmat insignia. Obviously he gets his hard-headedness from his father. Anyway, you can imagine my delight when I discovered the line of tees Winter Water Factory has come up with. Big rigs, front loaders, and excavators galore, their graphic images are fantastic. As an added bonus, you can load up on breezy dresses for sister as well. Even better, there is something for mama as well: punchy napkins to take any tablescape from drab to fab in an instant, even if there are toddlers throwing food in every direction. Oh and by the way, most of their products are made right in NYC which gets a huge round of applause from this mama. Time to stock up! 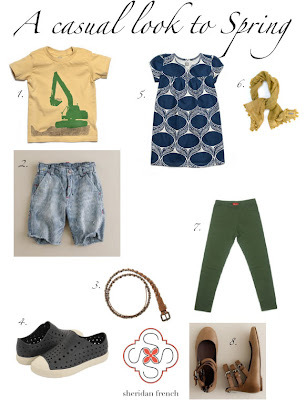 Isn't it fun dressing little ones? This line has some super cute options, thanks for sharing! First, look for the official stamps of legality replica handbags and cleanliness: licenses. If the salon is in the United States, the state health department must approve it. The health department checks that metal instruments are sterilized and that all other tools are cleaned or disposed of between replica shoes customers. The nail technician also replica handbags must be certified by the state board of cosmetology. For the license, the nail technician completes courses and 600 hours of supervised practice hermes replica on classmates and customers.